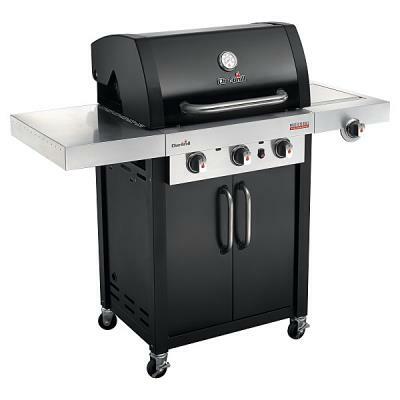 This web site is owned and operated by Bedfordshire Barbecue Centre Ltd who are completely dedicated to your total satisfaction. If you have any suggestions or comments or if you need to contact us, please email us using the link on the store page or use the details below. We accept Visa, Mastercard and Debit cards via Sellerdeck Payments who are part of Credit Call one of the largest payment providers in the UK. We do not charge for any item until it is ready to ship*. Backordered items are not charged until they are shipped. *If paying via PayPal full payment will be taken at the time the order is placed. **Please note that we will only accept PayPal payments from confirmed addresses, please ensure that your delivery and invoice address is confirmed in your PayPal account before making a purchase. If payment is made via PayPal with and un-confirmed address we will automatically review, refund and cancel the order, this is to protect both us and yourself from un-authorised use and card fraud. Finance payments are handled byv12 Finance, an independant broker. Orders placed via this method are excluded from our next day delivery and can take up to 5 days to arrive. You will be notified by email on dispatch. Deliveries for finance orders will only be sent to the confirmed address on your finance application and MUST be signed for at that address. *Please note that discount codes are not available when paying by finance. None of these four stores personal data. The first two expire on closing the browser. Expiry period of the second two is set for 24 hours. At present there is no indication that the above cookies will be affected by the application of the new law. However we are monitoring the situation and will respond to any change that would negatively affect our website and your privacy. Please see individual product details for current delivery times. Our parcel carriers deliver weekdays between 8am and 6pm. A failed delivery will automatically be attempted on the next working day, any further attempts will incur additional charges, Please be aware that the delivery driver may require help with large or heavy parcel deliveries. If a delivery attempt has been made the driver will try to leave a card saying so with instructions to call the local depot, please do as instructed and dont just ignore the card. If nobody is available to receive and sign for the delivery it can be left in a safe location or with a neighbour, please specify details in the special instructions field. We Offer free delivery for orders over £50 within the Mainland UK Only, *Excluding Scottish highlands, Island, Channel Island and Ireland etc. Please note that these charges are due to courier surcharges and are unfortunately not something we can build into our overall pricing structure, we do not make money on delivery charges. We deliver your order right away. We will normally send your order to you in 2 business days . International orders are generally received in under 14 days. Here at Bedfordshire Barbecue Centre we want you to feel confident and safe shopping with us online, therefore we have all our online transactions processed via Sellerdeck Payments through CreditCall one of the UK's largest online payment processing merchants. All transaction information passed between our site and the Sellerdeck Payments Systems is encrypted using 128-bit SSL certificates. No cardholder information is ever passed unencrypted and any messages sent to our server from Sellerdeck are signed using MD5 hashing to prevent tampering. You can be completely secure in the knowledge that nothing our website passes to the Sellerdeck Payments servers can be examined, used or modified by any third parties attempting to gain access to sensitive information. Through our Payment Service Provider we are able to accept most major Credit and Debit cards including. Visa, Mastercard, Delta, Visa Electron, Solo and UK Maestro. Unfortunately at the moment we are not able to accept American Express. We guarantee your satisfaction. Should you encounter any problems, please do not hesitate to call us or email us if you prefer. Please note that ALL items and accessories on our website are designed specifically and solely for use on or in barbecues, no accessories purchased from our site should be used in a domestic oven. We accept no responsibility for any damage caused by incorrect use of an item sold on this website. 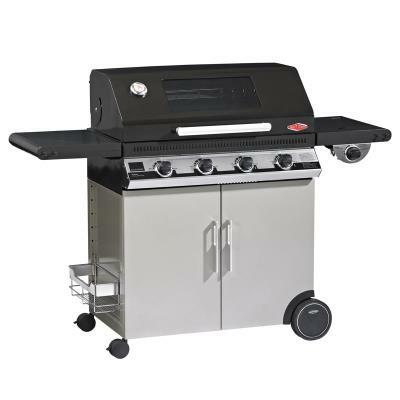 Bedfordshire Barbecue Centre do not disclose buyers' information to third parties other than when order details are processed as part of the order fulfilment. In this case, the third party will not disclose any of the details to any other third party. There is a £45 charge for initial delivery and a £50 charge for collection on BBQs, smaller items like spares will be cheaper. At Bedfordshire Barbecue Centre Ltd we want you to be delighted with your order, so if you are unhappy you can return them within 14 days of receipt for a replacement. Goods must be in the same condition as when despatched. We will refund any postage costs if the return is a result of our error we made in fulfilling your order. 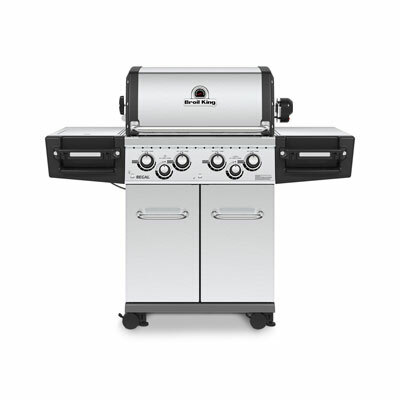 If the goods are faulty/Damaged and if possible the damaged parts of the order/BBQ will be replaced in the first instance. Any refunds will be made within 30 days. This does not affect your statutory rights. For your protection we recommend that you use a recorded delivery service since Beds Barbecue Centre cannot be held responsible for returns which are lost or damaged in transit.